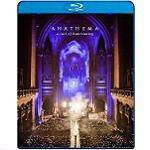 More information: Directed by Lasse Hoile (Steven Wilson / Opeth), A Sort Of Homecoming is a stunning concert film of Anathema's homecoming show on March 7th 2015 in the spectacular setting of the Liverpool Anglican Cathedral. With their star rising ever higher, Anathema returned in 2014 with Distant Satellites. The new studio album showcased another imperious forward step into the realm of miraculous songwriting. It has proved to be the band's most widely acclaimed & celebrated record. In March 2015 the band played an acoustic tour of Cathedrals in the UK that culminated in a sold out show in their hometown of Liverpool in the city's impressive Liverpool Anglican Cathedral. Described as "a once in a lifetime experience that words can barely do justice" by one reviewer. Having previously worked with Anathema on their acclaimed 'Universal' concert film, Lasse Hoile captured the 100 minute acoustic set in high definition against the sensational backdrop of Liverpool Cathedral. Featuring 15 songs selected from the albums Distant Satellites, We're Here Because We're Here, Hindsight and Weather Systems, Daniel Cavanagh, Vincent Cavanagh, Jamie Cavanagh and Lee Douglas were accompanied throughout by David Wesling on cello alongside special guest, the renowned violinist, Anna Phoebe on a haunting rendition of 'Anathema'. The audio has been produced and mixed by Christer-André Cederberg who worked on their Distant Satellites album, with the cover and booklet artwork featuring the stunning photography of from the show and behind the scenes by long time collaborator Caroline Traitler. Available as a 2CD DVD-V set in a media book with a 24 page colour booklet. The set features the full 100minute audio and DVD-V with 5.1 audio mixed by The Pineapple Thief's Bruce Soord. Or, as Blu-ray disc presented in an amaray case with a 12 page colour booklet which features the full 100minute concert plus a band documentary with 5.1 audio mixed by Bruce Soord.